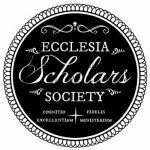 Ecclesia Scholars Society Members may wish to sponsor and form a focused study group within the Society dedicated to some particular area of study that will be beneficial to the life and growth of the Church. Study groups must consist of a minimum of 6 and a maximum of 12 Ecclesia Scholars Society members of any membership category. The Study Group sponsor has approval of participating members and is responsible for the group coordination duties. The sponsorship of an official Study Group will last for two years. In order to for the Study Group to remain an official Study Group within the Ecclesia Scholars Society beyond the two-year period, it must renew the sponsorship. The cost to sponsor an official Study Group is $250.00 for two years. All Study Group members must be Ecclesia Scholars Society members in good standing. Study groups must consist of a minimum of 6 and a maximum of 10 Ecclesia Scholars Society members of any membership category. Study Groups must contribute a minimum of eight (8) submission articles to the Ecclesia Scholarship during its two-year sponsorship. These articles may be authored individually or collaboratively. The Study Group must present at the National Meeting of the Ecclesia Scholars Society. Focused contributions to the Ecclesia Scholars Society. Guaranteed publication of at least one contribution of the Study Group to be featured in each issue of the bi-early journal. Guaranteed presentation slot at the National Meeting. Presentations may be one selected member of the Study Group or a collaborative presentation of up to three members of the Study Group. Individual or collaborative works produced by the Study Group exceeding 150 pages of manuscript or essay collections may be submitted for traditional publication through Trinity Academic Press or Trinity Living Publications. To submit an application for a study group, please fill out the form. Be sure to list the sponsor and members in the form.